Note: my graduate research is focused on switchgrass, so conflict of interest alert! Energy could be the biggest issue in the world today. Its tentacles creep into nearly every sphere of public policy. In the era of climate change obsession, the sources of the energy we use to build and power our societies are under increasing scrutiny. The question is, how can we imagine meeting the planet’s insatiable demand without stifling ourselves in the process? Until relatively recently, the answer was purely a matter of physics. Techniques were developed solely to increase energy output. With the advent of the hydroelectric dam, ethics got involved. This new technology allowed us to transform vast areas, altering the course of an entire ecosystem (and in some cases human settlements) in the process. Increased demand for oil also fed extraction technologies in that field, raising the stakes with the ecological devastation of oil spills. Finally, nuclear power entered the scene; an energy source with the capacity to fail so spectacularly that it could make areas uninhabitable for many thousands of years. To make matters worse, the cumulative effects of the first technologies were catching up with us. Acid rain and smog alerts testified to the hazards of coal-fired plants, and the age of anthropogenic global warming was soon upon us. It is naive and unrealistic to think that energy consumption patterns will reduce any time soon. China’s thirst for power, growing orders of magnitude during the country’s phenomenal growth in the past several decades, is a flagship for what’s beginning across Asia, and elsewere in the developing world. The global South will continue developing, and that means more power. At the same time, industrialized nations continue to increase domestic consumption. In light of these concerns, governments across the globe are scrambling for less volatile solutions. Most people are familiar with solar and wind energy, but more and more attention is recently being paid to another area: biomass energy. This is humanity’s oldest form of obtaining energy; from the moment the first campfire was lit by prehistoric people biomass energy has been in constant use. A more modern application is bioethanol. In 2006/2007, tens of thousands of protesters marching through Mexico city reminded us that bioethanol production is not morally exempt; the corn bioethanol policies adopted by the United States caused the price of tortillas, a staple of the central American country’s diet, to rise by as much as 400%. A wave of hunger spread across Latin America. The tortilla riots illustrate the ‘food vs. fuel’ conflict that arises when food products are diverted to the energy industry. The idea of using food for fuel is morally dubious in light of our current food situation globally: over 1 billion people go to bed hungry daily. But it’s more than that: the diversion of prime farmland to dedicated bioenergy cropping will prove to be just as contentious in the future, as rising populations make farmland an even more scarce and precious commodity. In Brazil, the more efficient conversion of sugarcane from vast plantations into bioethanol (along with their domestic oil reserves) has resulted in energy independence for the South American giant. However, concern has been raised about the near slave-labor treatment of some cane cutters, and the plantations continue to encroach on Amazon forest. In North America and parts of Europe some promising contenders are currently being developed for the biomass market; namely grasses. Two of the frontrunners are Miscanthus, a tropical/subtropical Asian plant, and switchgrass, a prairie grass native to Eastern North America. Consider the benefits of grasses: both these species are perennial, meaning they regrow to be harvested each year, they use a fraction of the fertilizer used on conventional crops (and often no pesticides at all), and they can grow in marginal soils rather than prime farmland. 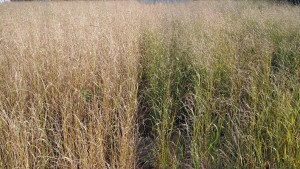 Switchgrass has further advantages. Since it is a native grass to North America, there is no worry about having it escape as an invasive. 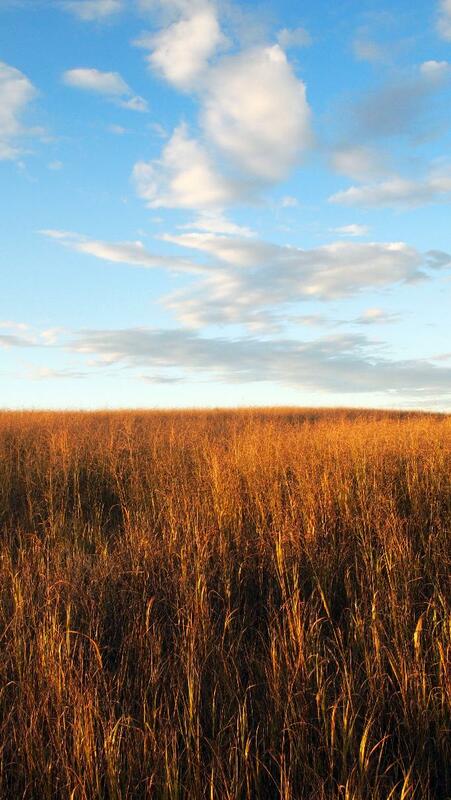 Recent studies have also demonstrated greatly increased bird and arthropod diversity in switchgrass fields compared to traditional corn fields. 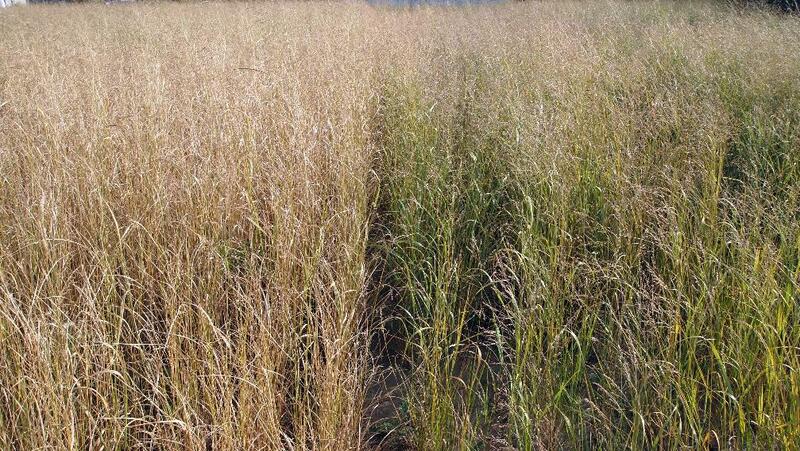 Switchgrass is a C4 grass, meaning that its water use is far more efficient than alternative crops. It has the ability to grow on marginal land, with only rainfall and minimal Nitrogen fertilizer. It is planted from seed using conventional equipment, and has roots that penetrate 3m into the soil. Regrowing a large root body seasonally means switchgrass sinks as much biomass into the soil as is harvested, making the crop carbon-negative and soil-enriching. The Canadian and American governments are both taking notice. At this stage, the plant is essentially undomesticated; the commercial varieties are selections from wild populations (this contrasts with conventional crops like corn, which has undergone hundreds of rigorous breeding selections). Several projects are currently working to develop improved varieties. The growing interest in this type of strategy is a new chapter in our energy history; one that departs significantly from past thinking. It’s a true departure from the way we used to do business. Rather than focusing on the mega-techno-fix, some governments are starting to think of energy in a progressive way, taking into account ecological and social aspects of the problem rather than focusing solely on output. Grasses will not solve the energy crisis alone. However, there are many groups which firmly believe that the only way to build resilient and adaptable energy systems is to focus on the proliferation of small to medium scale, environmentally benign networks, such as wind, solar, and biomass. This is a sea change from the current trend of increasing megaprojects. It’s a whole new path in our energy history. Perhaps this change in mindset is best summarized with a title that E.F. Schumacher, a 2-decade advisor for the UK National Coal Board, used for a book he released around the 1973 energy crisis. The title of the book was ‘Small is Beautiful: Economics as if People Mattered’. Published by erik on 2012/01/05 at 12:52 AM under General Discussions.